Do we, in America (and worldwide), have a people or a talent shortage? This is not a simple question to toss off now that baby boomers are slowly but surely exiting the work force and the fresh faces coming on board seem to only aspire to join the over-served and very crowded service economy. These same job seekers seem to ignore or may even deride the skilled trades sector — which, according to ManpowerGroup, has taken the No. 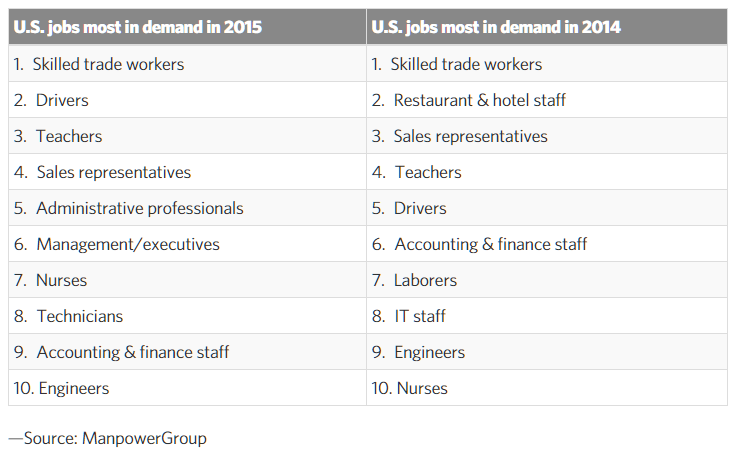 1 spot for U.S. jobs most in demand, for the fourth straight year. This year’s incoming college freshmen may want to take note of this. What the heck? Why is this even important to bring up? Just consider this. Manufacturing Institute (MI) predicts that 2 million factory jobs will go unfilled because of a shortage of manufacturing engineers and experienced skilled trades and production workers. MI did some math to support their assertion that effort should be made to address why there is a manufacturing skills shortage. They claim that every dollar spent in manufacturing adds $1.37 to the U.S. economy. Every 100 manufacturing jobs creates another 250 jobs in OTHER SECTORS. That, on its face, is an obvious benefit to our economy and our future. Of course there are a host of related political issues and structural causes for this apparent mismatch of people and skills and this is not the forum for such analysis. But are you at all interested in going a little further in thinking on this subject? Then check out this Ticker Tape to read some more, not as market investment research but, perhaps, for the investment in your own career. 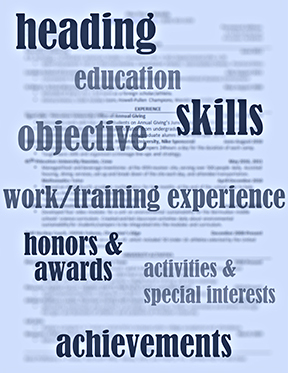 Previous Previous post: What if there were No Job Boards?? ?